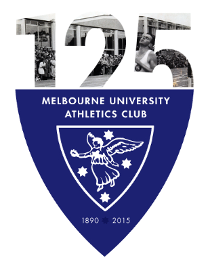 Victoria’s Road Relay Championships on Saturday, the 8th of August. White Train athletes each dashed twice around the Sandown Park track to complete the 6.2km course and chase valuable premiership points in round 8 of the AV XCR’09 series. Competitive racing saw MUAC maintain the high standard of earlier rounds to keep the White Train chugging steadily along towards the final races of the season. The Women’s Division One Team of Sarah Opperman, Sophie Barker, Charlotte Curnow and Kate Scarlett scorched around the Sandown Park circuit to claim fourth place in the elite division. This consolidates their fifth position on the Division One Premiership ladder, with two rounds to go a top five finish is looking likely. The Women’s performance was a good indication of the depth in the squad. The MUAC Women are, and will continue to be, a real force to be reckoned with in Division One over the coming seasons. Tracy McCougan, Sarah Castellino and Camilla Humpries combined to form the Women’s Division Two Team for the White Train. Tracy finds herself close to the top of the leaderboard for the White Train’s most prestigious prize, the Golden Shoe, after a season of consistent racing. The team’s efforts find MUAC, one of only four clubs with teams in the top two women’s divisions, in the top ten and likely to press for glory in the coming rounds. 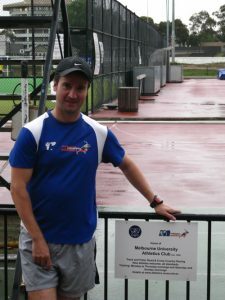 The White Train’s marathon master, Andy Selby-Smith, led off the Division One Men’s Team in a crucial battle for premiership points. Tom Gorman, Frank Ciancio, Hamish Beaumont, Zac Newman and Winter Manager David Paroissien followed and held off relegation (and traditional) rivals APS United to secure tenth place in the competitive race holding on to tenth place on the premiership ladder in the process. MUAC’s Men’s Division Three Team was a mix of middle distance men (Alex Kaiser and David Ulbrick) and marathon men (Andrew Moore and Matt Irons) with a bit of Texas thrown in (Charlie Sheldon) for good measure. A quality performance found them in 6th place, and keeps the team in 5th on the premiership ladder. The Wombats, the Men’s Division Five Team, appeared for the second race in a row with Tony Brain, MUAC Club Coach, returning to some welcome form. Cult hero Theo Tsichrintzis joined with Rich Dutton and Ken Chan to snare ninth place which pushed the team into the top ten on the premiership ladder.